The top court said that it is for the ECI to decide about the format in which the draft electoral roll is to be published. 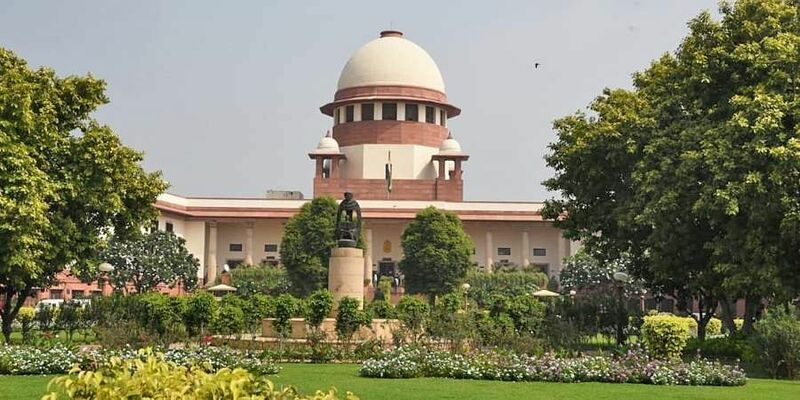 NEW DELHI: The Supreme Court on Friday dismissed petitions of senior Congress leaders Kamal Nath and Sachin Pilot seeking draft electoral rolls in searchable text format in poll-bound Madhya Pradesh and Rajasthan saying they were not entitled to it as per the Election Manual. Nath and Pilot in their plea sought direction to the Election Commission for publication of voter list in searchable text format and its supply to the political parties in the same format for ensuring the electoral list to be fair and proper, having all the eligible voters and excluding the duplicate, fake or incorrect voters. A bench of justices A K Sikri and Ashok Bhushan said that clause 11.2.2.2 of the Election Manual uses the expression "text mode" and the draft electoral roll in that mode has been supplied to the petitioner (Kamal Nath). "The clause nowhere says that the draft electoral roll has to be put up on the Chief Electoral Officer's website in a searchable PDF. Therefore, the petitioner cannot claim, as a right, that the draft electoral roll should be placed on the website in a searchable mode. It has only to be in text mode and it is so provided," it said. The court, which took up petition of Nath as the lead case, said that once it is found that the clause in election manual does not entitle the petitioner to get the draft electoral roll in the text mode which is searchable as well, "it is for the ECI to decide about the format in which the draft electoral roll is to be published". It said that ECI has given the reasons for not adhering to the request of Nath in providing draft electoral roll in searchable PDF format owing to issues of privacy of voters and prevention of voter profiling and data mining. It said that according to the ECI, ensuring free and fair elections also necessitates that the commission is duty bound to protect the privacy and profiling of electors. "Therefore, it (ECI) is duty bound to take all precautionary measures," the bench said and added that ECI had on January 4, directed its field level functionaries to put only the image PDF of the electoral roll in the public domain. "We are, therefore, of the opinion that the format in which the draft electoral roll is supplied to the petitioner fulfils the requirement contained in the Election Manual. It may be added that if the petitioner so wants, he can always convert it into a searchable mode which, of course, would require him to put his own efforts," the bench said. The court said that there is no doubt about the bona fides of the ECI as it is a matter of record that in the last 25-30 years, the commission has built up the reputation of an impartial body which strives to hold fair elections. "It is a constitutional authority and has been discharging its functions quite satisfactorily. People of this country, by and large, trust this institution for its impartial manner of discharging its functions. That is absolutely essential as well in a democratic polity where 'We, the people' elect the representatives to the legislative assemblies of the State as well as Parliament at the Centre," it said. The court said that the function of the ECI becomes very important and it is supposed to discharge the same with utmost integrity, impartiality and objectivity as it is the will of the people which should be truly translated into reality. It said that the clause of election manual in question places an obligation on the ECI to put the draft roll on its website in PDF format. "The purpose is to bring it in public domain so that each voter is able to access the same and find out whether his/her name is correctly shown and in case of any error, the said voter is in a position to get the same rectified," it said. The court took on record the contention of poll panel that the clause requires putting the draft electoral roll in text mode which would mean that it should contain only the text of the elector's details such as his name, address, age, and not his/her photograph. The court refused to go into other prayers made by Nath and Pilot with regard to the issuance of direction to ECI for conducting VVPAT verification at least 10 per cent randomly selected polling booths in each assembly constituency to ensure free and fair elections. It said that these issues were dealt by the apex court in earlier petitions and orders have been passed. Legislative elections in Madhya Pradesh will be held on November 28. Rajasthan will go to polls on December 7 in a single phase and the counting of votes for both the states will be held on December 11, along with Mizoram, Telangana and Chhattisgarh. The pleas of Congress leaders have alleged that according to a survey, there were over 60 lakh fake voters in Madhya Pradesh and similarly, in Rajasthan, there were over 41 lakh duplicate voters. In Rajasthan, the poll panel had added 71 lakh, new voters, the plea by Pilot said, demanding that directions be given to remove inconsistencies and conduct free and fair elections.